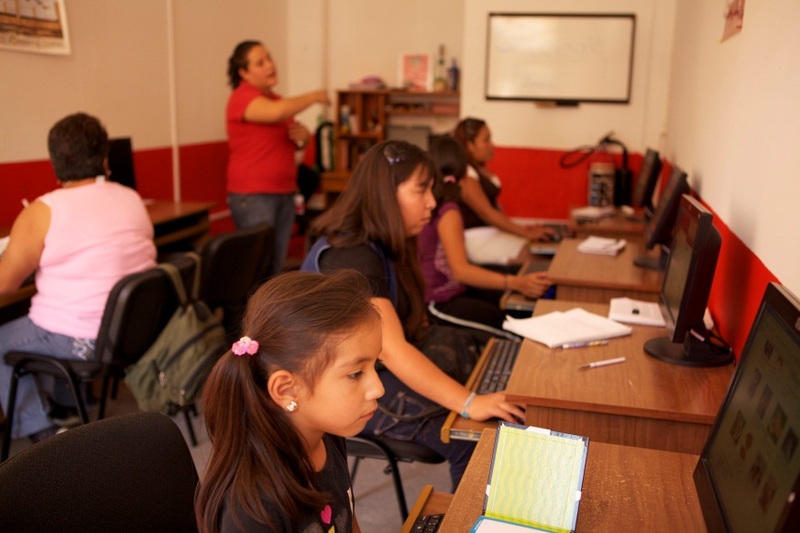 Over the past five years, Pro Mujer in Mexico has offered free computer training to our clients and their families as part of the financial, health and human development services we provide. This computer course helps clients grow their businesses, and includes a suite of courses, including the use of products generously donated by Microsoft, a longtime Pro Mujer partner. Training modules include Word, Excel 1, Excel 2, PowerPoint, Internet 1, Internet 2, Publisher, Movie Maker and Access, among others. The culmination of this training is a formal graduation ceremony complete with certificates recognizing their efforts, time and dedication; attendance by clients’ families and friends, Pro Mujer employees, including course instructors and credit officers; music, dancing and of course – a celebratory cake. In 2012, we graduated 220 clients in the first graduation ceremony of this kind. Demand for the training course was so high that we had to divide the course into two so that we can now graduate two classes in one year. The first ceremony of this year took place last month and we graduated 188 clients! Among the class of 2013 were clients from centers in Xochimilco, Teoloyucan, Pachuca, Tizayuca and Ocotlan and by the end of the year, we expect to duplicate that figure. 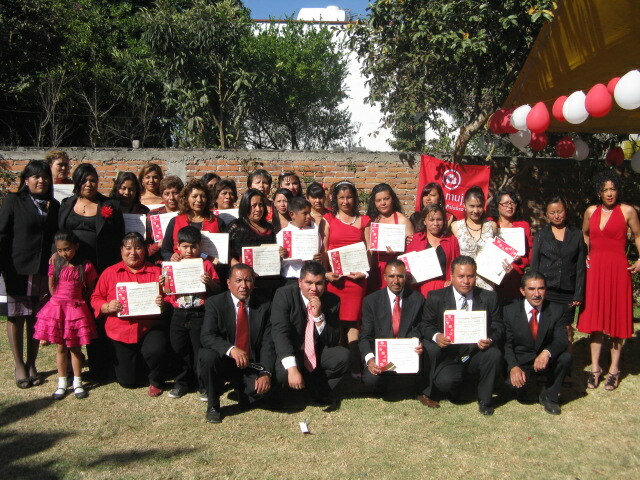 Proud graduates from our Xochimilco center show off their computer training certificates. Congratulations to the graduating class of 2013 for their efforts, dedication and perseverance!